iHeart's "Best New Country Artist" nominee LANCO will perform on Atlanta Motor Speedway's pre-race stage ahead of the Folds of Honor QuikTrip 500 on Sunday, February 24. The "arena-rock leaning band" (Entertainment Weekly) paved the course for critical acclaim with the success of their 2x PLATINUM single "Greatest Love Story" which became a multi-week chart topper. Following the release of their No. One selling debut album HALLELUJAH NIGHTS, both moments were historical in Country music as Lancaster became the first artist in 10 years to have a No. 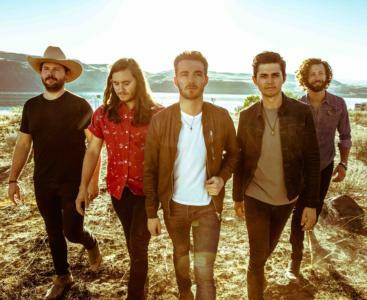 One on the chart solely written by that artist while LANCO serves as the first Country group in a decade to appear at the top of the Billboard Country albums chart with a debut album, which now boasts over 426 million streams. LANCO "won admirers among its peers" (Billboard) last year earning nominations from the ACM, CMT, CMA and American Music Awards while Lancaster became the first member of a group to ever win NSAI's "Songwriter/Artist of the Year." Following 2018's 26-city run that featured sold-out club runs in major markets such as New York City and Los Angeles, LANCO has built "a reputation as one of Country's most potent live acts" (Rolling Stone). They continue to host capacity crowds during their first-ever headlining HALLELUJAH NIGHTS TOUR. LANCO's distinct Southern storytelling with a modern punch of rock and roll continues to unravel as they head back to the studio with award-winning producer Jay Joyce to begin recording their sophomore album. For more information and upcoming tour dates, visit www.lancomusic.com. Pre-race pit passes will provide stage-front access for Monster Energy NASCAR Cup Series driver introductions, as well as LANCO's pre-race performance. In addition, pre-race pit passes will allow fans to tour the pit area and photograph the 40-car field up close and personal prior to the start of the race.